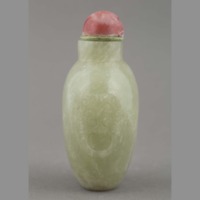 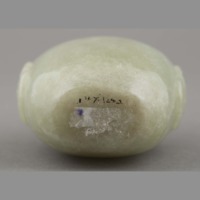 One pale green jade snuff bottle. A short narrow neck surmounts a flattened rounded rectangular body with high shoulders tapering towards an oval-shaped base. 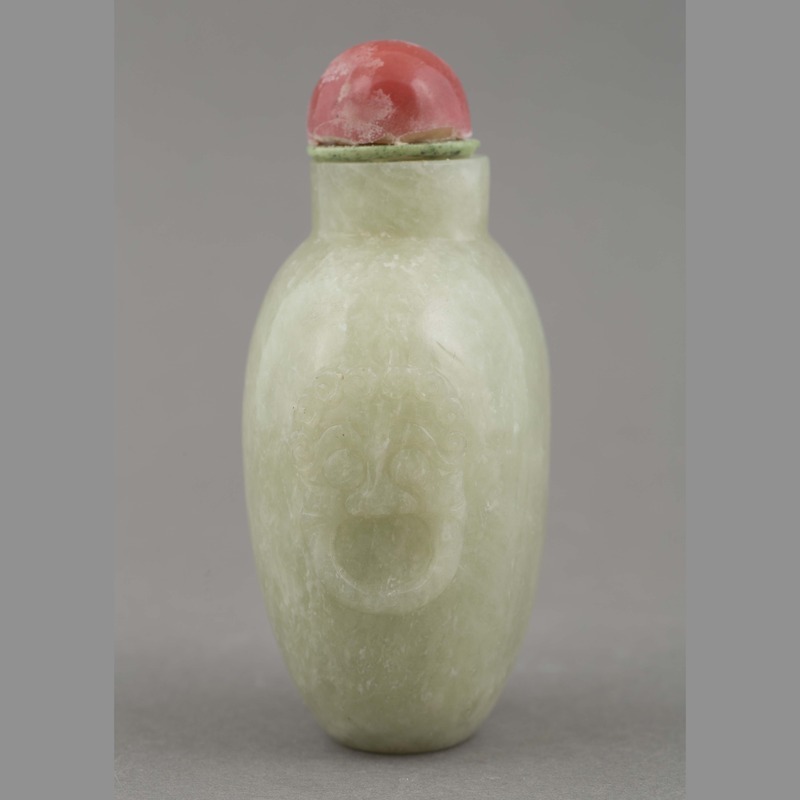 Short sides exhibit carved taotie designs. Plain hemispherical pink stopper and green collar. 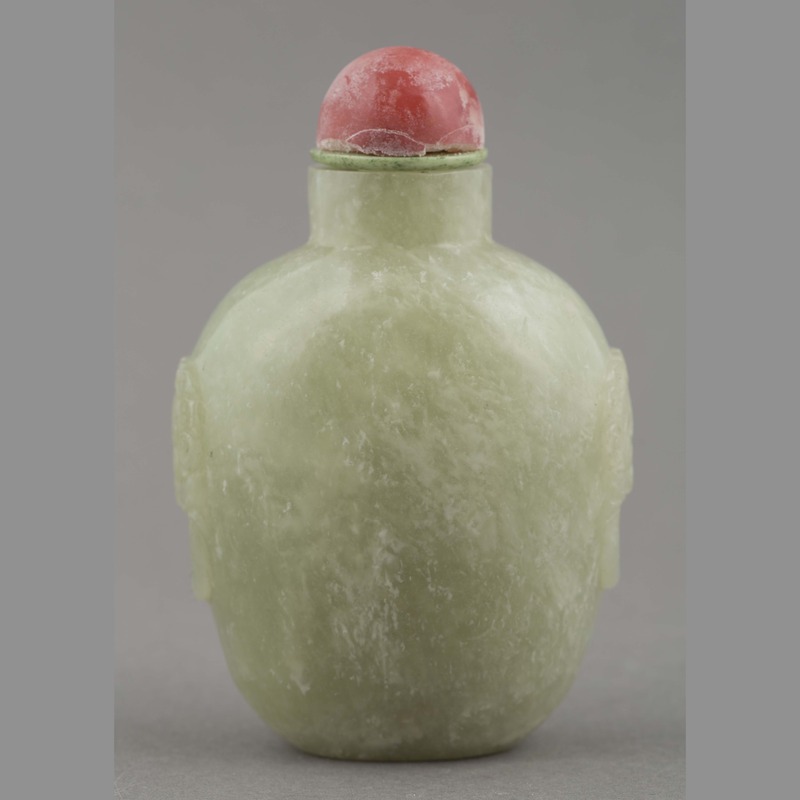 Given by Alley in 1957 to poet R.A.K. 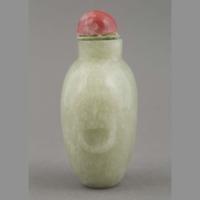 Mason (1905-1971) to carry to Canterbury Museum. 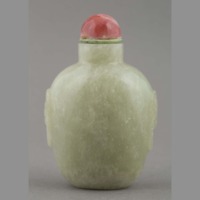 “Bottle: snuff,” China, Art and Cultural Diplomacy, accessed April 22, 2019, http://rewialleyart.nz/items/show/1082.